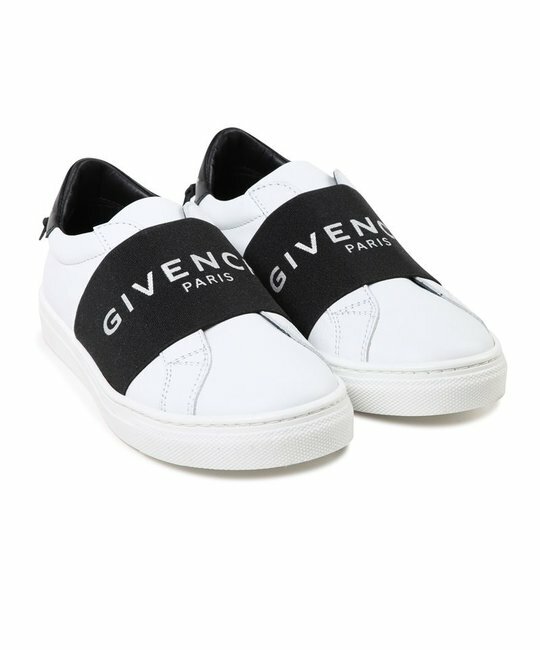 Givenchy soft leather white ‘mini-me’ low cut sneakers with branded black band detailing. 100% Leather. Made in Italy.